The Baltimore Museum of Art (BMA) is set in its own majestic portico’d place, augmented with a sweeping addition. It seems very far away from the city, and to travel there is to be (somehow) in art. BMA presents the “Matisse-Diebenkorn” through January 29, 2017 and then, after a re-hanging, the show opens again at SFMOMA in the spring. and then retreated a few inches. 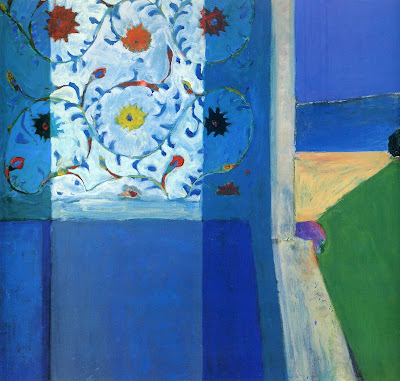 Diebenkorn set up shop just past his predecessor, but would make use of Matisse’s floral grillwork for safety’s sake. You’ll see. 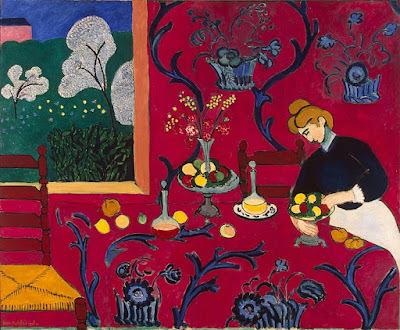 Pretty much everyone can picture a Matisse. Close your eyes. Okay? Got one? 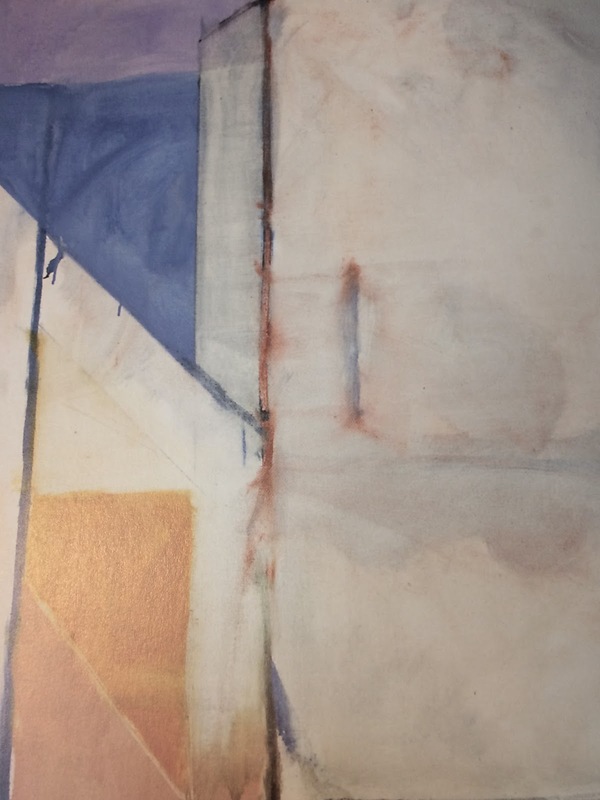 To weigh Diebenkorn’s reception in England, so Paul Carey-Kent, a financial policy analyst and art critic, brought 6 “well-established painters” to the RA’s Diebenkorn show, and recorded their comments along with his own. 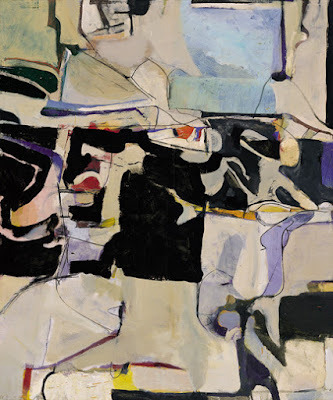 Carey-Kent started with the assumption that Diebenkorn is “a painter’s painter.” Half of his guests were pleased with the art on view, half were not. The painters are: Katrina Blamin, Claudia Carr, Christina Niederberger, Michael Stubbs, D.J. 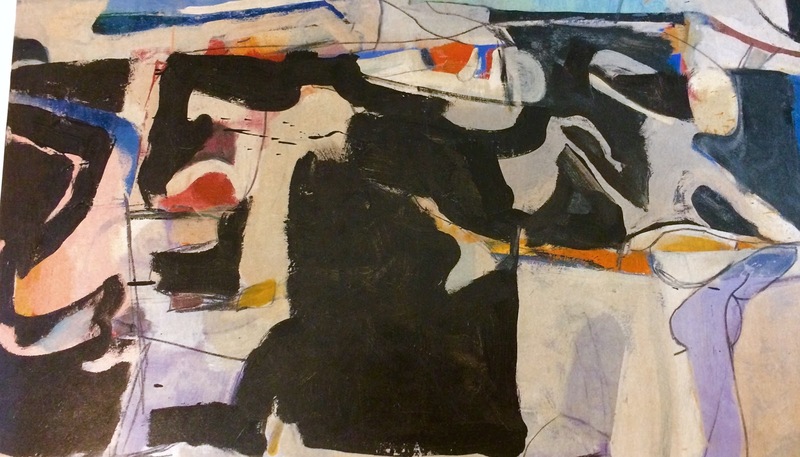 Simpson and Dolly Tompsett ; see the article for details (www.artcritical.com/2015/05/04/paul-carey-kent-richard-diebenkorn). 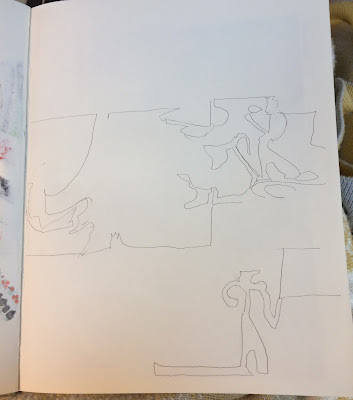 Look at the escaped blue squiggle, up against a deliberate long dripped line. Now take another look at the gray line that anchors the blue triangle: there is another shape partly visible inside that. There are no straight lines on either top or bottom of the purple stripe; the artist didn’t auto-correct. The green drip slams into an orange line that then veers off to nothing, allowing the green to re-appear. This is not the work of a minute. 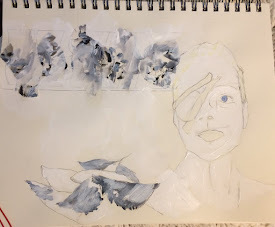 This apparent spontaneity is earned through time and incredible patience on the part of the artist. Marking, erasure, marking, stopping. Another of the artists brought to the RA exhibition, D.J. Simpson, uses an electric router to mark/draw onto his wood support, and then paints in the backgrounds to make his art (his art is “fetishising,” says the artist and critic John Chilver). Simpson thinks that Diebenkorn knew exactly “when there was enough push and not enough pull.” I think that, by “push” Simpson means the sustained agitation in the painting, flowing and just a bit untethered. Here is the question... 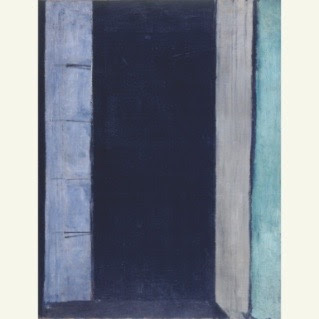 Does Simpson mean that Diebenkorn would then add in the “pull” to lock in the work? Or does he mean that Diebenkorn would allow the painting to remain un-resolved, that this state of flux was the goal? 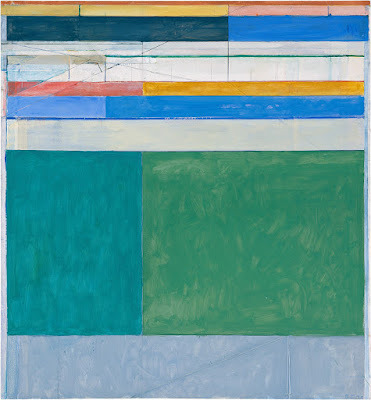 The RA ‘s Diebenkorn show was big and beautiful. But it was a show that crested with the Ocean Park series, as if all the previous work was only preparatory. The hanging was rather convincing as a yellow brick road, and it left me very little room to breathe. In this context, I saw the 1950’s work as flawed, and left feeling odd. 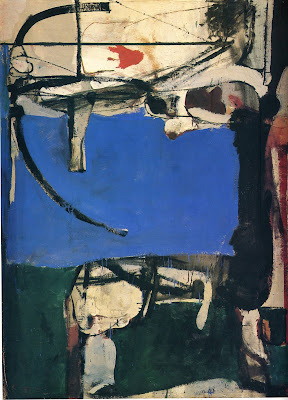 I should have liked it; Diebenkorn is a painter’s painter, and, even more, an abstract painter’s painter. On impulse, I added the color to every canvas then on my studio walls. It ruined them all, of course, because the paintings hadn’t called for that kind of interference. 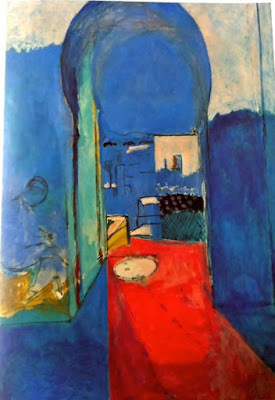 What kind of interference would Matisse cause Diebenkorn? I thought blue might be involved. But I was wrong. It was black, deep and abiding black. (Black is so important that one artist has recently claimed exclusive rights to the newest, strongest black mixture, Vantablack (http://hyperallergic.com/279243/anish-kapoor-gets-exclusive-rights-to-the-worlds-darkest-pigment). But I get ahead of myself. I should start with the observation that the wall texts and the essays for this show are entirely convincing. The research is solid, the relationship clear. Diebenkorn studied Matisse beginning with his days at Stanford. 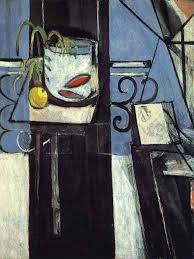 He saw Matisse’s paintings in the home of Sarah Stein. 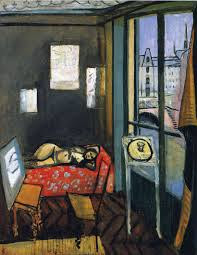 He visited MOMA in New York and the Pompidou in Paris. Diebenkorn owned forty-one books on Matisse, even loaning one to MOMA’s curator John Elderfield in 1983 to help with an upcoming exhibition. 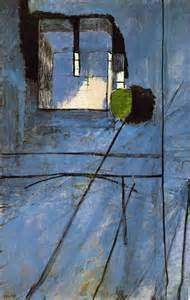 Diebenkorn saw little-known Matisse paintings as a guest of the Soviet Artists’ Union (Matisse/Diebenkorn catalogue, eds. Janet Bishop and Katherine Rothkopf, BMA and SFMOMA, 2016). This is the goal. The “pull,” Mr. Simpson, is left up to the viewer. *My husband, Charles Tarlton, wrote a series of ekphrastic tanka prose about the Ocean Park paintings, based on our visit; see artistinanaframe.blogspot.com, the entry on Diebenkorn from 11/21/16; there is a drama in prose & poetry on the relationship of Matisse and Picasso printed there as well. Charles Tarlton, "The Turn of Art"